Joe Schmidt's side will be aiming to prevent a historic 19th straight English victory when the teams meet on Sunday. England head to Dublin on Saturday looking to make history on two fronts. By racking up a 19th consecutive victory - the most by any team against tier-one nations - Eddie Jones' men will become the first side to win back-to-back Six Nations Grand Slams. But how might Ireland spoil the party in their own back yard? 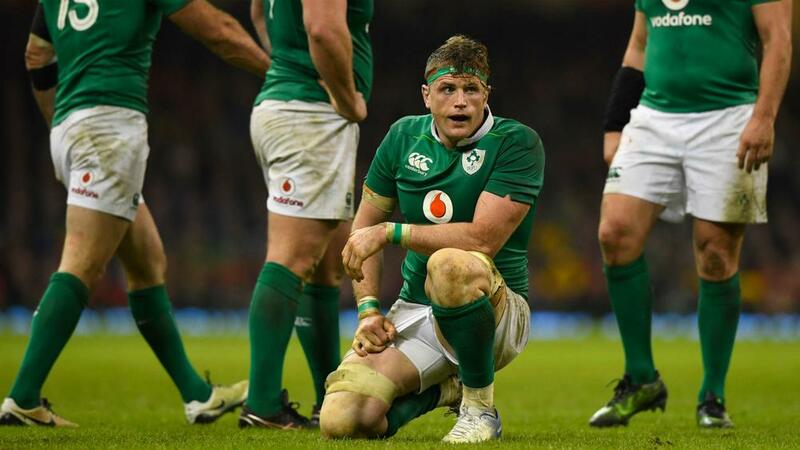 We take a look at where Joe Schmidt might find a way past England. It was Ireland, of course, who halted New Zealand's winning run at 18 in November, producing a stunning display in Chicago. The American city was already on a high following the Cubs' World Series triumph, and the carnival atmosphere carried into the Test at Soldier Field, where the vast majority of spectators were behind the men in green. The Cubs had waited 108 years for their triumph and Ireland's victory was their first over the All Blacks in 111 years of trying. Ireland have been unable to replicate that kind of performance during this year's championship, losing in Scotland and Wales to miss out on setting up a title decider against England at the Aviva Stadium. But with a fervent crowd behind them on St Patrick's Day weekend, Schmidt's side will be hoping to evoke the spirit of Chicago and deny England a record-breaking day. Jonathan Sexton and Conor Murray are still fancied by many as the frontrunners to be the British and Irish Lions' half-back pairing come the opening Test against the All Blacks on June 24. However, the duo suffered more than most during the bruising 22-9 defeat under the lights in Cardiff last Friday. Sexton took a knee in the eye from Jonathan Davies as he repeatedly found himself in the thick of the brutal action, while Murray sustained a heavy blow to his left arm from George North, soldiering on despite appearing hampered by the issue. The injury-prone Irish number 10, having returned from his head injury assessment, was subsequently sin-binned for killing the ball on his own line, with North scoring the second of his two tries with the Leinster man off the field. Sexton and Murray will be keen to prove their Lions credentials against England and - providing they can steer clear of trouble - will undoubtedly be key to Ireland's chances on Saturday. Ireland have one advantage over all of England's opponents to date - Owen Farrell's dad is on the coaching staff. Andy Farrell joined Schmidt's team as defence coach last year, having previously worked under Stuart Lancaster in the English set-up. Son Owen has been one of England's most consistent performers and could be an outside bet to captain the Lions in New Zealand later this year, whether he beats Sexton to the number 10 shirt or sticks with the inside-centre position he has made his own under Jones. Farrell has scored 54 points during this year's championship - only Camille Lopez of France has racked up more - and Ireland will hope Farrell Snr's insider knowledge can help quell the threat of the Saracens man. As for Owen's mum? "She just wants everyone to do well," he said this week. Robbie Henshaw was left a little red-faced on Friday after entering a maul illegally with Ireland heading for a potential match-winning try. 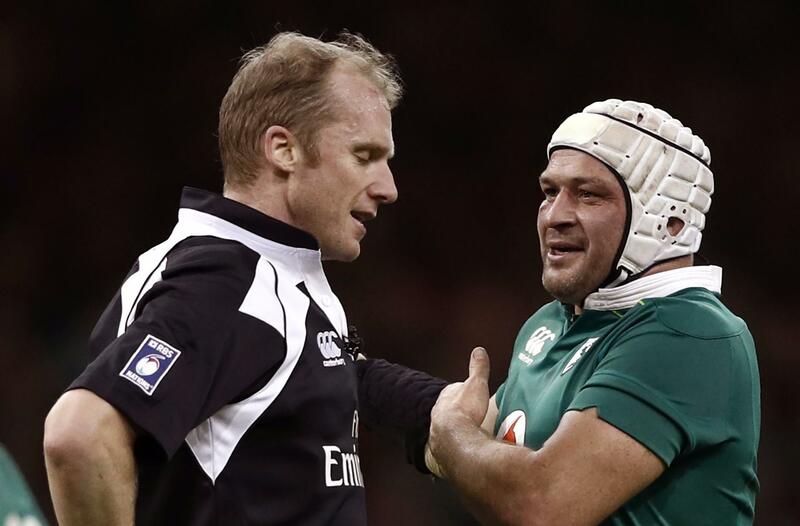 The centre entered ahead of ball-carrier Rory Best with the visitors trailing 15-9, prompting referee Wayne Barnes to blow up and curtail a move that had promised to bring Ireland back into the game. Henshaw confessed to "not knowing the rules" earlier this week, but such avoidable mistakes against a side like England - particularly one on the brink of history - will not go unpunished. Atoning for that costly error could be a motivating factor for Henshaw on Saturday - not that the 23-year-old thinks he needs it. "To end England's winning streak is a great motivation for us," he said. On the subject of knowing the rules, it is remarkably Italy who seemed to have England most rattled of any team during this year's championship. Their no-ruck tactics - overseen by Irish coach Conor O'Shea - baffled the would-be record breakers, who sought guidance from the referee over how to handle the alien approach. Ireland are unlikely to take a similar route. One suspects England would not allow themselves to be so unprepared for such a tactic again. However, England's first three wins this year - including the one over Italy - were by no means straightforward and prove that there are weaknesses to be exploited in this England team. Schmidt's job will be to identify any frailty and expose it, even if last week's Scotland demolition job was an ominous warning of what Ireland must expect.